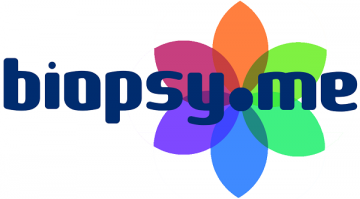 Biopsy.me is a service offered by Agoko (www.agoko.be), a Belgian company specialized in telepathology services. Agoko was founded in 2015 by Belgian pathologists, together with IT and health care specialists. Using innovative image sharing technology and via our own revolutionary highly secured digital pathology platform, patients get a fast and easy access to an international network of expert pathologists. All pathologists in our network are board-certified, well experienced and specialized in one or more (sub)domains of pathology, such as breast pathology, uropathology, colorectal pathology, and more. Patients can send us their biopsy material and we will organize a revision of the diagnosis (second opinion) by one of our expert pathologists, to confirm or further refine the diagnosis. If indicated, we also offer genetic analysis on the tumor itself or on blood (so called 'liquid biopsy’). For several diseases, such as colorectal cancer, melanoma, lung cancer and more, this analysis is important to determine the optimal treatment for patients with cancer. Based on the molecular profile of the patient’s disease, we can also give advice on treatment options, based on international guidelines.